The ST2000PEXPSE Dual Port PoE NIC provides two 10/100/1000 Mbps PoE RJ45 ports that can provide up to 25.5W of power each, combining a network data connection and power on a single cable, for less clutter and convenient installations in remote locations. This full/low profile Gigabit server adapter supports the IEEE 802.3at (Type 1 and 2) standard for a Power Sourcing Equipment (PSE) device, and can deliver 48V DC power to compliant Powered Devices (PD). This eliminates the need for a separate power source and cable for remote networked devices such as IP cameras, IP phones and wireless access points. 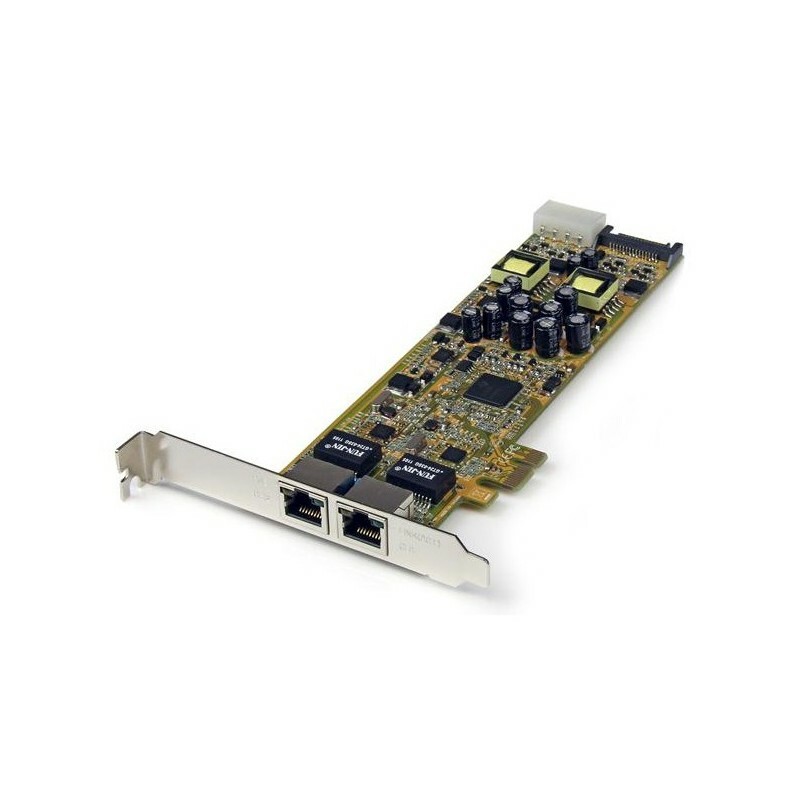 Suitable for any PCI Express-enabled client, server or workstation, this versatile PoE network adapter supports features such as Jumbo Frames, VLAN tagging and Wake on LAN (WOL). The ST2000PEXPSE PoE NIC is backed by a StarTech.com 2-year warranty and free lifetime technical support. Cable Monkey is rated 4.82 stars by Reviews.co.uk based on 4934 reviews.